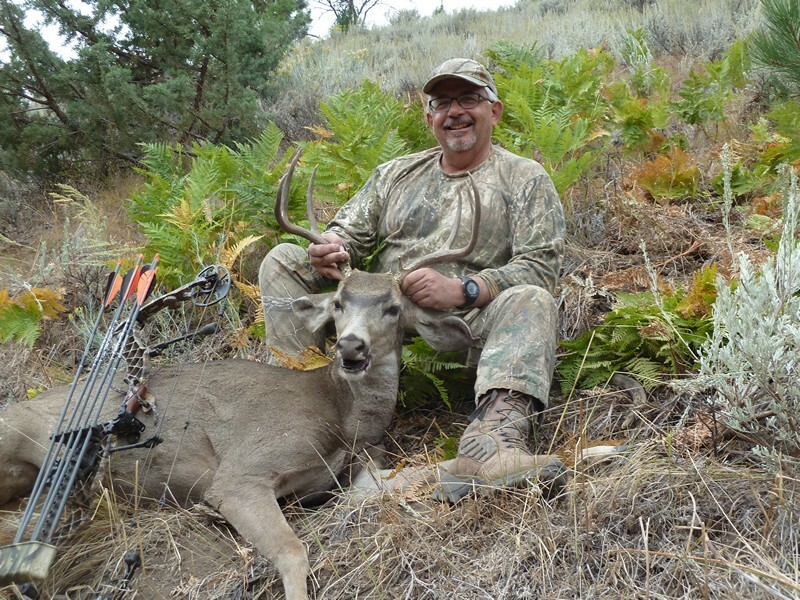 We typically archery hunt the first and last week of the Oregon Archery hunting season. All of our archery hunts are fully guided 2x1 with food, lodging and care of game provided. Our Morgan Lake ranch will offer archery hunting for the first time this year. The use of tree stands will be our primary method this first year. Our Buckaroo property is our premier archery hunting opportunity. This property has a very large herd of resident elk, with many bulls over 300”. We hunt by calling and stalking and also make extensive use of the many tree stands we have on the property. Last season we had 100% opportunity for shots to be taken. 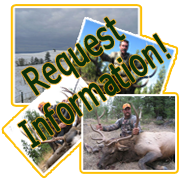 Our Ochoco archery hunt is in the Ochoco Unit Which is a limited draw unit and we have guaranteed tags for this hunt. The Ochocos have been a high quality archery hunting area for many years with some very nice bulls being taken. Our Castle Rock Ranch will offer a Mule Deer only archery hunt this year as well as a combo hunt. This deer hunt will require the hunter to be in good physical condition as the terrain is high mountain and very rocky. Spot & stalk is the secret to success for this hunt. Our Pedro Mountain Ranch offers the best opportunity for combo hunt success, as there are good numbers of deer and elk and conditions offer good opportunities for taking both animals. Whether you are a beginner or have many years experience in the sport of archery elk hunting there is no greater thrill than "bugling in" a fully mature Rocky Mountain Bull Elk to within ten yards. 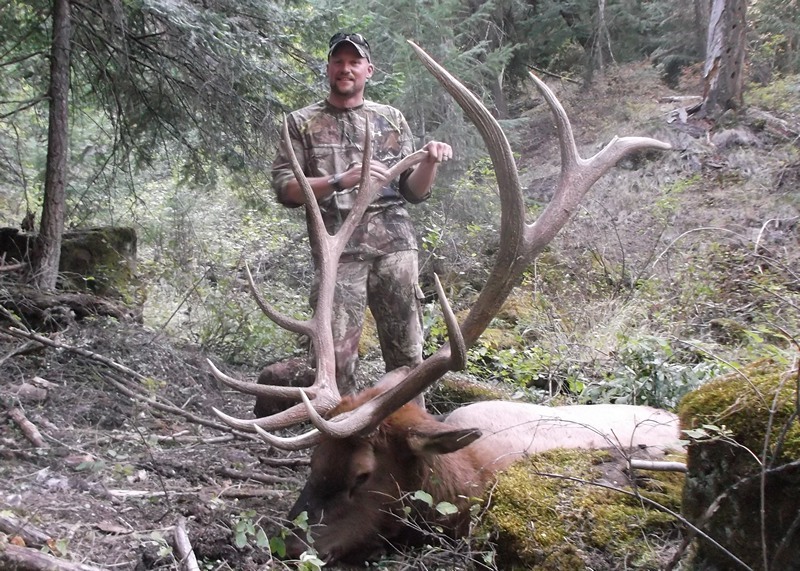 This is the type of archery elk hunting experience we strive to provide for all of our clients. Very few of our guided archery hunters go home without a realistic opportunity at an elk. We operate our guided archery hunting as combination elk and mule deer hunts, if the hunter chooses. 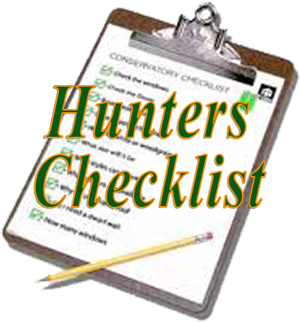 We encourage our bow hunters to do the combo hunts as opportunities can present themselves at anytime and over the years we have had many a bow hunter that wished they had gotten that extra tag. Our archery hunting takes place during the rut for elk and as you know this is the best time for bugling in those large herd bulls. Bucks during this time may still be in velvet or will have just shed their velvet. They are, often times, not as wary as they would normally be during their rut later in the season and this makes them more approachable for the archery hunter. 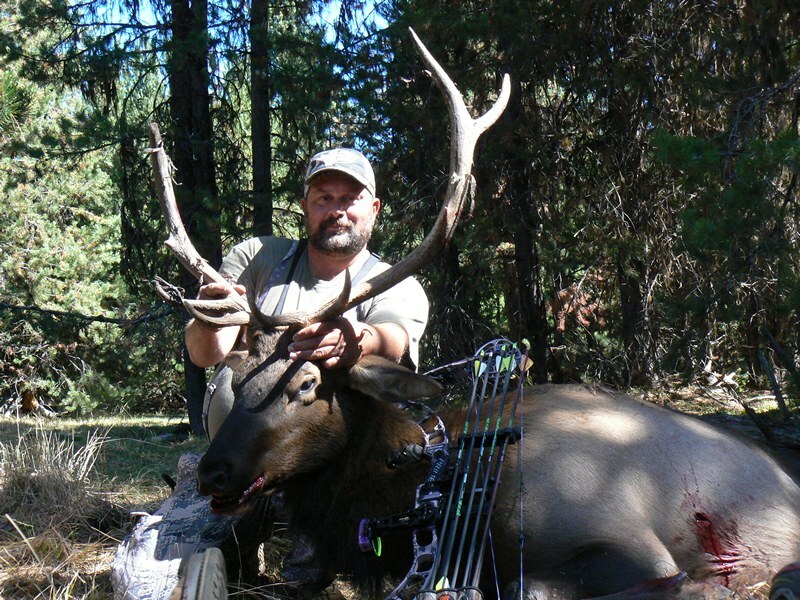 Oregon archery elk hunting takes place during the last week in August through the third week in September and we offer seven-day hunts. This can be a very warm time of year. Temperatures in the 80's or higher are not uncommon. Hunter conditioning plays an important role when temperatures get high. Please practice, practice, practice with your archery equipment. The single biggest reason for missed opportunities, we have found over the years, is lack of preparation. Allow us to help make your archery elk hunting adventure a safe and memorable one. Come join us for an unforgettable Oregon bow hunting adventure in Central Eastern Oregon's finest archery hunting units.